Product #1098 | SKU 475B | 0.0 (no ratings yet) Thanks for your rating! 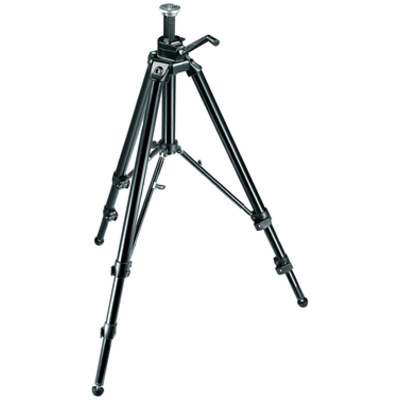 The Manfrotto 475B is a workhorse with modernized features, in essence a much improved version of the venerable 3036. It can extend to over 6' tall, and the geared center column cannot lose height accidentally. The 475 maintains stability at all heights, and the innovative leg braces allow for both infinite leg spread & quick setup. A spirit level and convertible rubber/spike feet are included. To avoid annoying delays in leveling the tripod, the telescopic center braces have been designed with two "click stop" positions that allow you to easily find the same spread angle on all three legs.